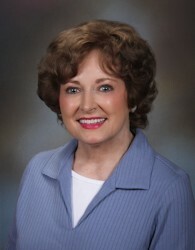 Connie Campbell Bratcher was born in Atlanta, Georgia, and reared in East Point, a suburb of Atlanta. She wrote several poems as a child, and was inspired to begin writing again in 1970. Her work has appeared in several anthology books including Sparrowgrass Poetry Forum. are touching hearts and lives all over the world. Volume 4 - "Shine The Light" contains excerpts from her three previous books. Also, includes D.D. Watson's paintings in color and Gabriele Ervin's unique color illustrations. 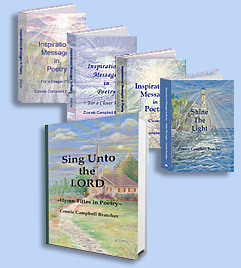 Volume 5 - "Sing Unto the LORD," Connie's latest book, is unique in that it contains ~ Hymn Titles in Poetry. by clicking on the book icons above. To email Connie please click here.